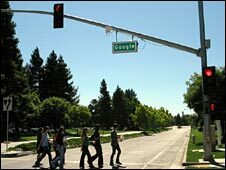 Google apologised for what it called a "traffic jam" that resulted in slow service or even interruption on the internet search giant's main page. 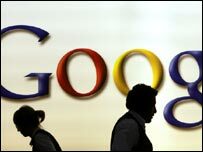 Gmail and Google's news site were also reported as "sluggish" or unavailable to millions of users for about an hour. This is not the first time the company has faced such problems. "An error in one of our systems caused us to direct some of our traffic through Asia," said Urs Hoelzle, a spokesman for the company. "As a result, about 14% of our users experienced slow services or even interruptions," he said. "We've been working hard to make our services ultrafast and 'always on', so it's especially embarrassing when a glitch like this one happens. "We're very sorry that it happened, and you can be sure that we'll be working even harder to make sure that a similar problem won't happen again," said Mr Hoelzle, Google's senior vice president of operations. The outage has called into question the reliability of web-based services. Google's "efforts to have some of their services, in particular their apps, and to a less extent Gmail, treated as serious business services that one can use instead of locally installed and maintained apps could be seriously undermined by a major outage like that," said Ezra Gottheil, an analyst with Technology Business Research. Other industry watchers say the interruption might cause businesses to reconsider using these services. "Maybe companies that are thinking about a cloud strategy - such as Google Apps - need to look into backup clouds" said Sam Diaz, a senior editor at technology news site ZDNet. On the microblogging service Twitter the service failure became a major topic of discussion. "Funny how something we lived without for the longest time is suddenly something we can't live without," tweeted simonnet. While k_sasha tweeted "Sympathies to the Google servers. Happens to everyone. But this is why the world needs more than one search engine." Napolebsis posted "The Google outage endorses my recent decision to move some services back to offline apps." This is not the first time that Google has had technical problems. In February 2009, Google's Gmail service experienced a breakdown leaving millions of people worldwide without access to the free web-based e-mail service for a few hours. In January, the internet company was hit by technical problems resulting in users being unable to access search results.